I seriously am beyond excited to share this recipe with you! 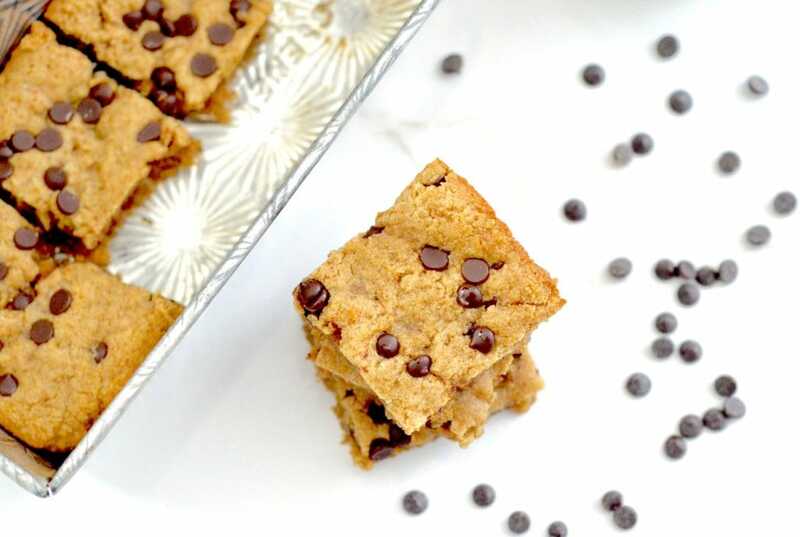 These cookie bars are everything you’ve ever dreamed a healthy dessert should be (and more). 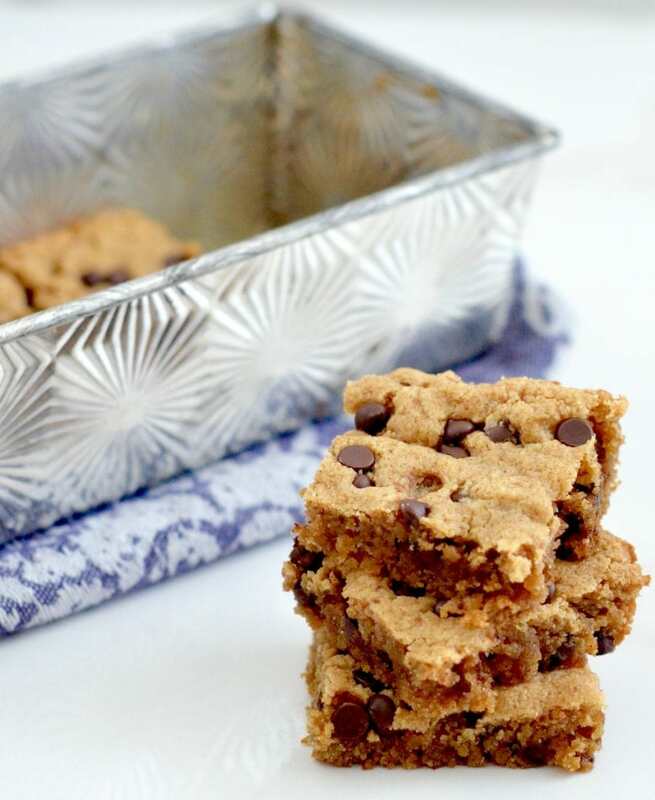 They are chewy and gooey and have a rich depth of flavor I can’t even explain! They taste so SO good, and are good for you! One thing that causes me hesitate when I’m thinking about trying a new paleo baked-good recipe is the amount of expensive ingredients that go into it. Almond flour, coconut oil, almond butter, etc. are not foods I’m interested in “wasting”…and it can be a costly risk to try a paleo recipe just to have it not turn out amazing. 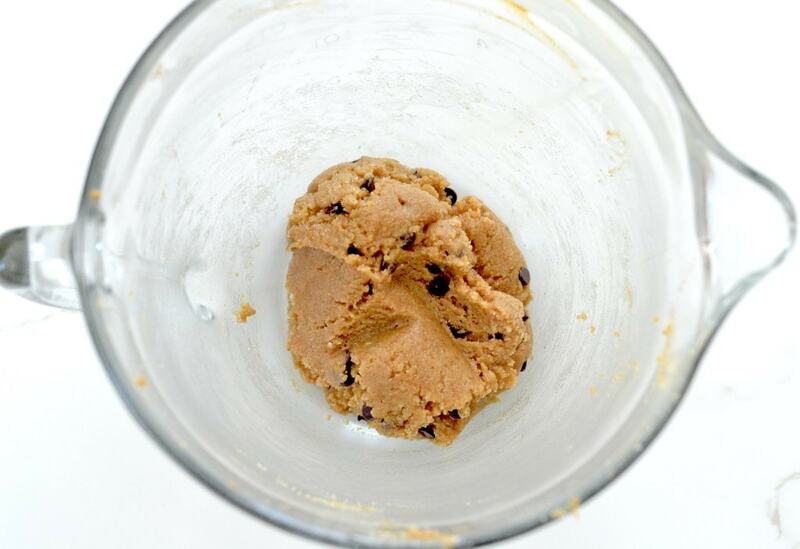 That’s why I created this recipe that makes a small batch of paleo cookies! 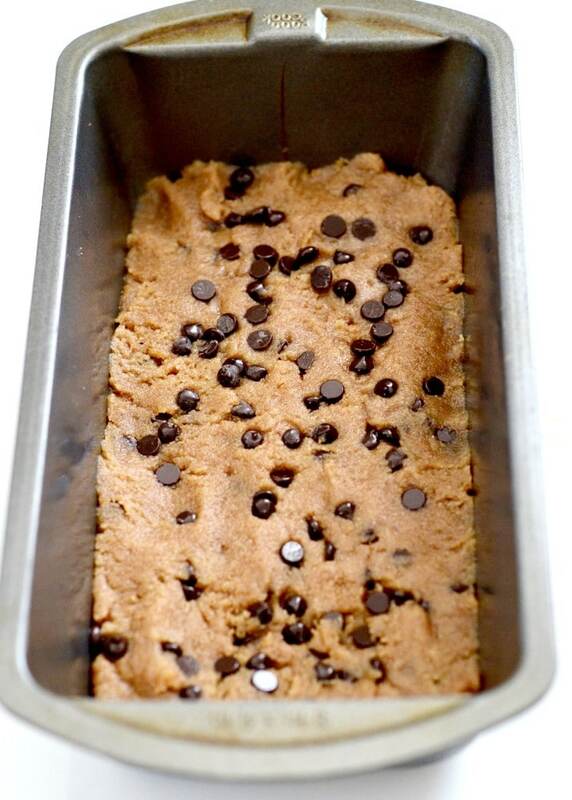 You can try a delicious new dessert with zero risk of wasting 3 cups of almond flour or half a jar of almond butter! If When you fall in love with these cookies you can easily double the recipe and bake it in a larger pan! Win. Win. Win! I use Enjoy Life mini chocolate chips because I’m a sucker for anything”mini.” Mini muffins, mini peanut butter cups, my three mini-me’s! 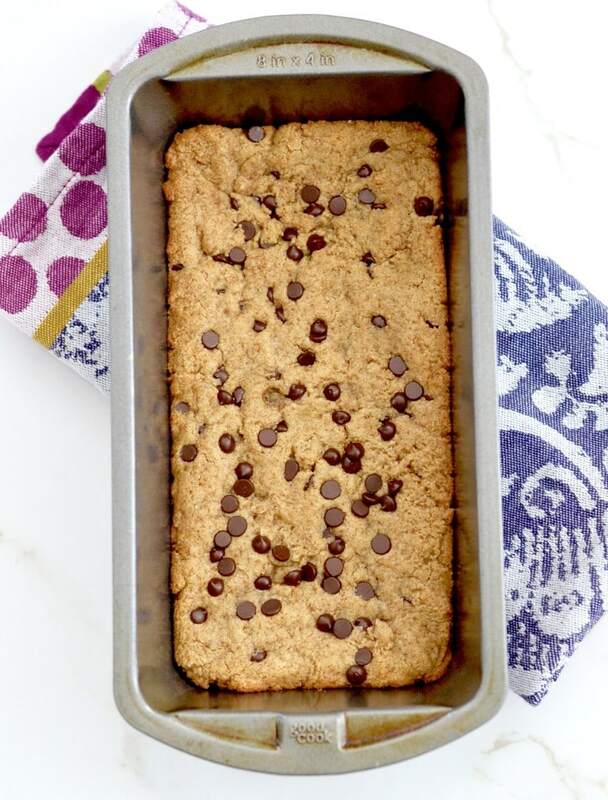 😉 However, you can use your favorite paleo-friendly chocolate chips/chunks and these will turn out great! I’m even more excited to be sharing this delicious treat with you over on Nicole’s blog at Blissful Eats! Nicole is a mom of two who also has to use her imagination to get her husband to eat healthily! (Mine requested that I add tater tots to our grocery list this week…ugh…)! You can learn more about her story here. She has created a line of healthy granola and snacks that are sold at select Whole Foods, Thrive Market, and here or here on Amazon! I love that their products are made with the highest quality ingredients and are non-GMO! They have paleo, gluten-free, and vegan options! 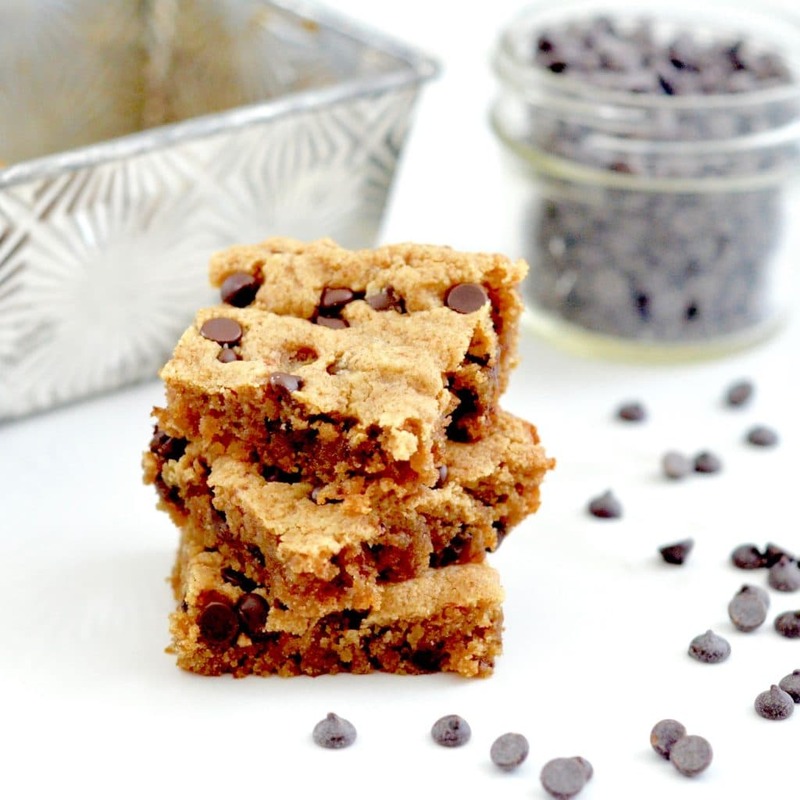 Head on over to Nicole’s blog to find the recipe for these Paleo Cookie Bars! Also of note…somehow I hurt my back in the middle of doing a burpee this weekend! (hahaha LOL)! I have zero idea how it happened, but it definitely happened. I’m feeling better now but my goodness gracious I was down for the count! I’ve never had an injury like that before and let’s just say I’m not a fan! This momma needs to pick up three kids multiple times a day. Sorry burpees…we’re breaking up for a little while…until I can forgive you…and you promise to never hurt me again. Love, Laura. If you make something from JoyFoodSunshine I would love to see your creations!